In this groundbreaking classic, investigative journalist Lynne McTaggart reveals a radical new paradigm—that the human mind and body are not separate from their environment but a packet of pulsating power constantly interacting with this vast energy sea, and that consciousness may be central in shaping our world. 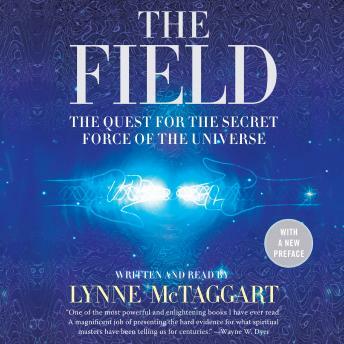 The Field is a highly readable scientific detective story presenting a stunning picture of an interconnected universe and a new scientific theory that makes sense of supernatural phenomena. Documented by distinguished sources, The Field is a book of hope and inspiration for today's world. The beginning is slow, but once it's started, it's a very interesting book. The subjects are very interesting: where physics meet with the metaphysics. A lot of scientific researches have been made to understand different phenomena.